MONSTER JAM returns to Angel Stadium of Anaheim in 2018!! 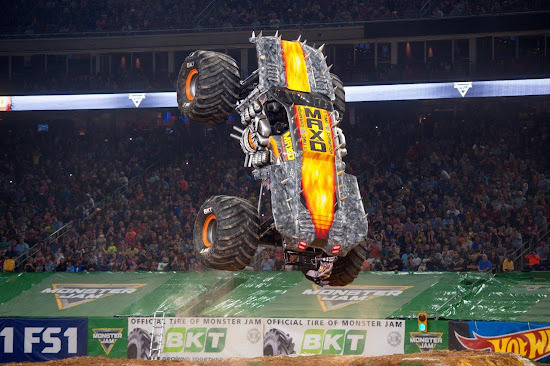 Orange County residents must love the 12,000 lb Monster Jam trucks as much as my family does, because they've added a 5th weekend event this year! 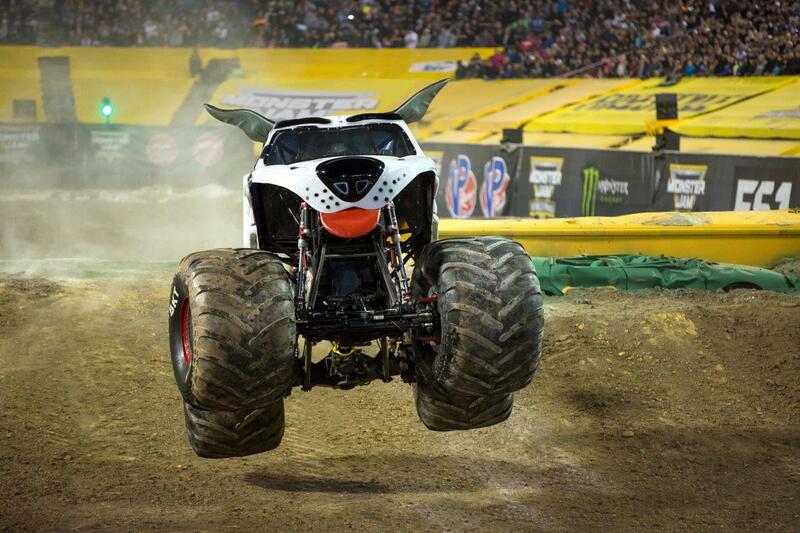 This means that Anaheim has more Monster Jam events than any other city in the country!! 2018 Monster Jam will be at Angel Stadium weekends January 13 - February 25, 2018. There will be MORE action, BIGGER trucks, and the ULTIMATE in speed, racing, and stunts. 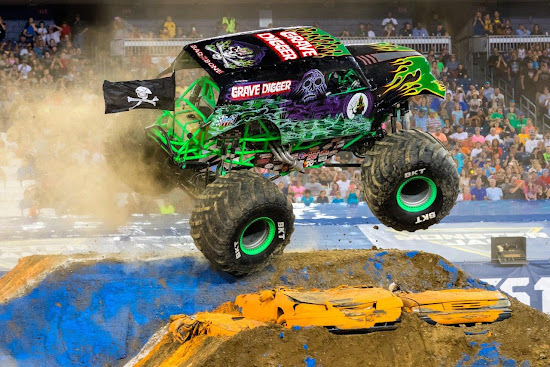 This year's MONSTER JAM lineup features appearances by fan favorites like Grave Digger, MAX-D, El Toro Loco, Bounty Hunter, Son Uva Digger, Avenger, VP Racing Fuel's Mad Scientist and Overkill Evoltion. 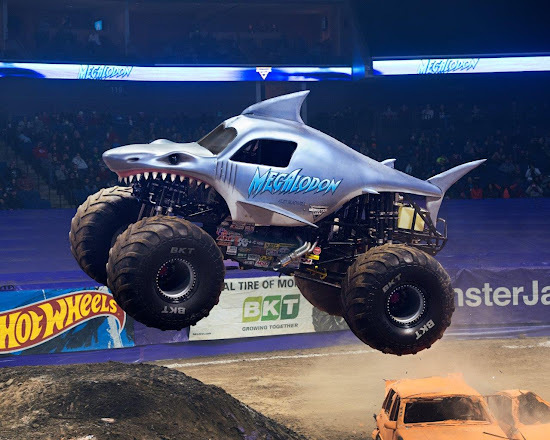 In addition to these MONSTER JAM powerhouses, SEVEN trucks will be making their Anaheim debut appearances. Let's give a big SoCal welcome to BroDozer, Whiplash, Mutant, Rammunition, Hotsy, Black Pearl and Megalodon. New in 2018 fans in every city will have the chance to vote for the truck winner in the DONUT, WHEELIE, and FREESTYLE competitions by real-time, in-arena fan voting on their smartphones. Monster Jam is one of the only sports where men and female world-class drivers are equals competing for the same championship on the same track. 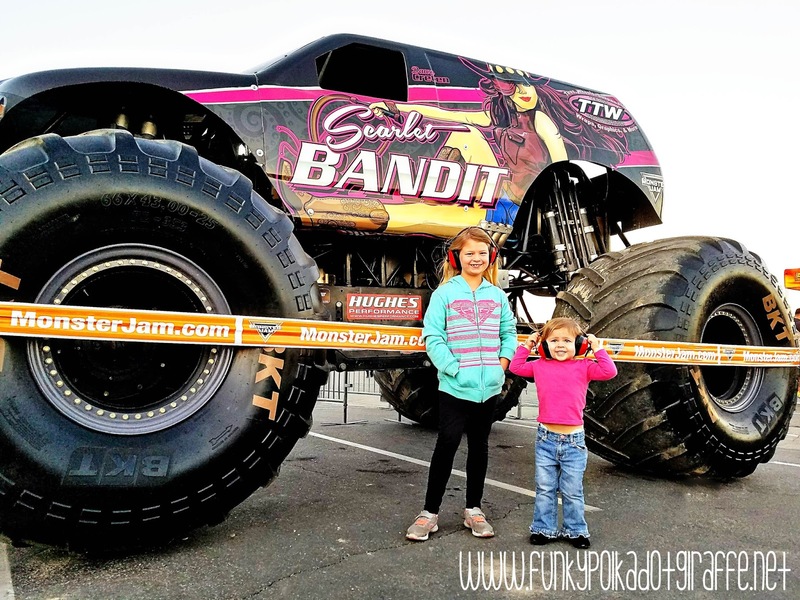 I know that my girls LOVE that there are female drivers to cheer on during Monster Jam. Don't forget to come to the stadium early for the Monster Jam Pit Party pre-show experience. There you can view your favorite trucks up-close and meet the star drivers for autographs and photos. New for 2018 you can purchase a Pit Party Early Access Pass (limited quantities) and get into the Pit Party one hour before it opens to the general public. You can also purchase in-persona at Angel Stadium. and 11:30AM-1:30PM on Sunday, February 25th. Exclusive Pit Party Early Access Pass entrance at 1:30PM for Saturday events only and pricing starts at $50 each.